This article from the June 1950 edition of Popular Science discusses the electrically heated ruddevators of the newly designed boom fitted to a KB-29p. Heated ruddevators were dropped from future boom designs, presumably due to the different refueling altitude that the KC-97 and KC-135 operated at. Note the B-50 being refueled in the bottom right picture. If anybody has information on the history of heated ruddevators (which booms featured them), please let me know through the comments. Boeing developed the rigid flying boom system to improve on the hose and drogue in-flight refueling (IFR) system. The boom, mounted at the aft-most portion of the KB-29P, was fitted with two small wings that allowed the boom operator to maneuver the boom. 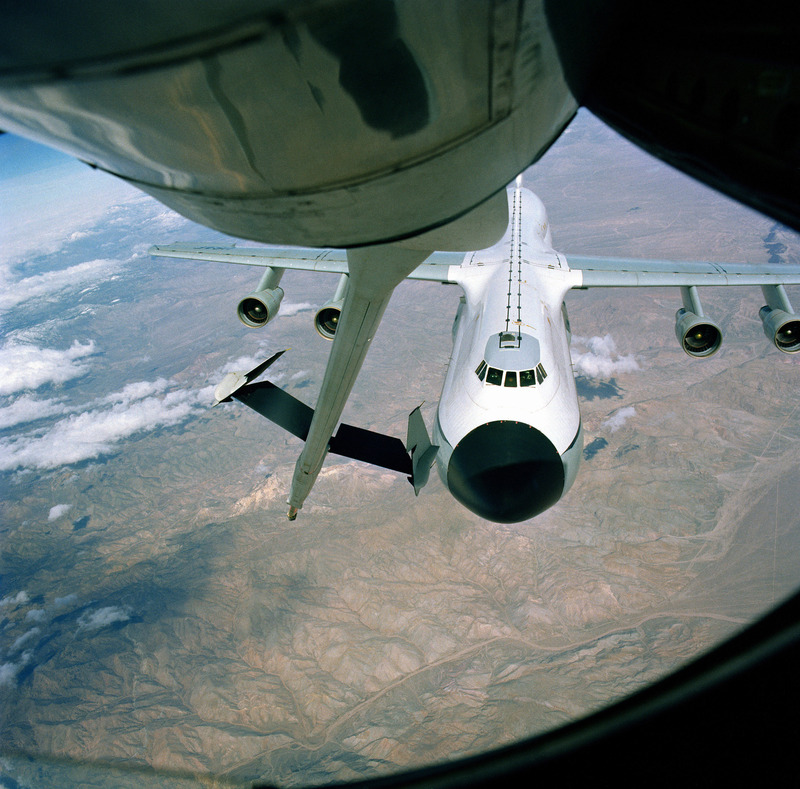 The pilot of the receiver aircraft, guided by the boom operator and light signals on the tanker belly, flew behind and below the tanker for refueling. Once in position, the boom operator “flew” the boom into the refueling receptacle, and the KB-29P flight engineer began fuel transfer. 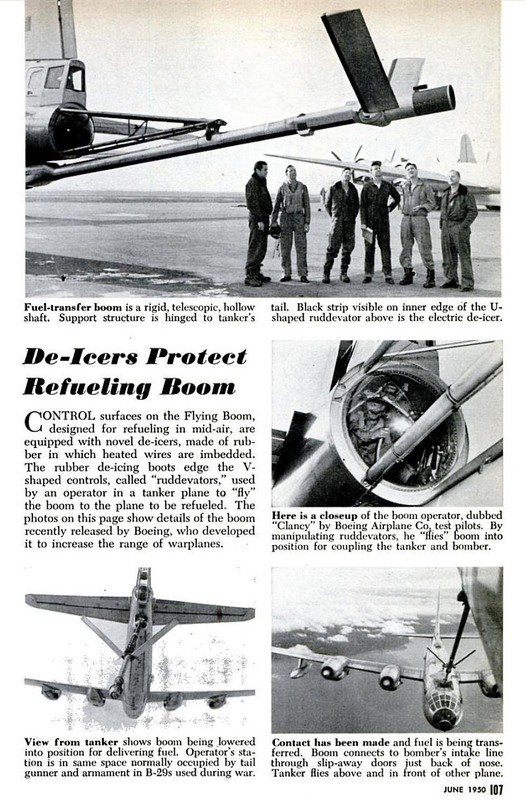 The flying boom system became the most common method for IFR and was used on KB-50s and KC-97s. It is still used on the USAF’s modern tankers — the KC-135 and KC-10.